OnePlus 6 Amber Red Launched in China for 3,599 Yuan ($542) - Playfuldroid! Since the launch of OnePlus 6, the company has been selling it in color variants like Mirror Black, Midnight Black and Silky White. Today, OnePlus has introduced a new color variant of Amber Red for OnePlus 6 in China. Starting from today, the Amber Red OnePlus 6 is available for reservation in the home country. It carries pricing of 3,599 Yuan ($542). 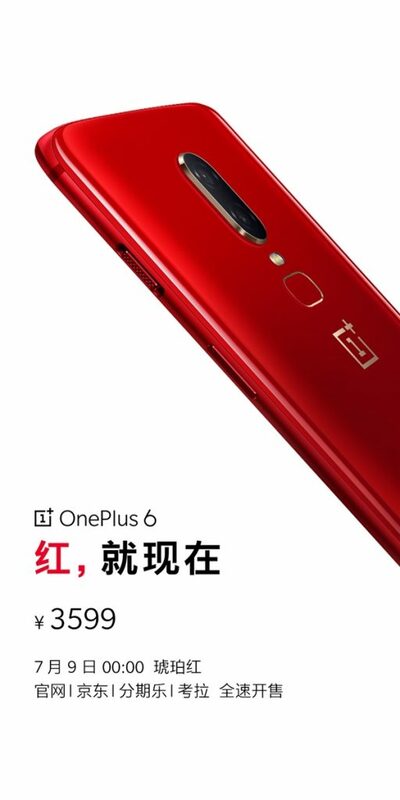 The Amber Red OnePlus 6 is now listed on the official site in China as well as Jingdong Mall. The official sales of this new variant will begin on July 9 at 00:00 AM (local time). This model includes 8 GB of RAM and an internal storage of 128 GB. 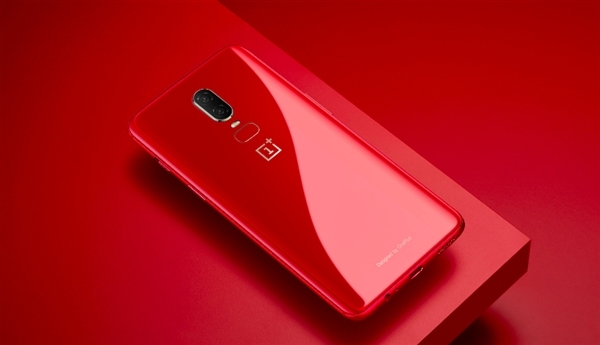 The images of the Amber Red OnePlus 6 shows that it also sports a glass rear like other color variants. As far as specs are concerned, except for the difference in RAM and storage, it is packed with the same internals found inside other color variants. Hence, the Amber Red OnePlus 6 includes 6.28-inch Optic AMOLED display that produces 19:9 aspect ratio and FHD+ resolution, Snapdragon 845 chipset, 20-megapixel + 16-megapixel dual camera, 16-megapixel front-facing camera and 3,300mAh battery.